Learning to live with diabetes doesn't happen overnight—and you don’t have to do it alone. The American Diabetes Association is here for your family when you need us most—every day. Advocates for the rights of children and adults with diabetes. Your Link to Schools — Children spend most of their time at school. The Association provides parents with resources and training modules to help you work with your child's school to create a medically safe learning environment for your child. The Association can assist you when you need help working with your school. Works with scientists and medical professionals to improve care for your child and search for a cure. 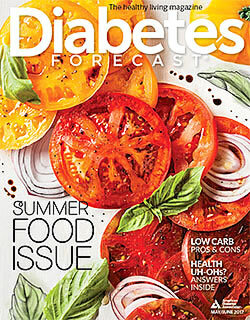 Your Link to Experts — If you're looking for expert information, the American Diabetes Association has it. All the information you receive through the Association's website, books and other educational tools come from the Association's world renowned diabetes experts. Connects you with other families of kids with diabetes. Family Link Events — Attend a fun and social diabetes education event in your local community. In over 50 local communities, the American Diabetes Association offers families an opportunity to learn more about diabetes while meeting other families of children with diabetes.